A clever rover. 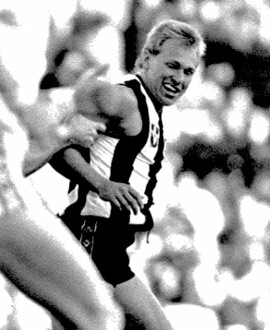 Atkins stood down early in 1987 to win a clearance to Collingwood. Career hampered by a severe knee injury. He originally was recruited from South Districts.